Georgia State University is the Southeast’s leading urban research institution. It is a top 100 public university for doctoral degrees awarded. More than 250 fields of study are offered through some 52 accredited degree programs at the bachelor’s, master’s, specialist and doctoral levels. Over 30,000 students enrolled at GSU in a recent semester. Founded in 1913 and located in Atlanta, Georgia, GSU is the only urban research university in Georgia. Georgia State University offers educational opportunities for traditional and nontraditional students at both the graduate and undergraduate levels by blending the best of theoretical and applied inquiry, scholarly and professional pursuits, and scientific and artistic expression. As an urban research university with strong disciplinary based departments and a wide array of problem-oriented interdisciplinary programs, the goal of the university is to develop, transmit and utilize knowledge in order to provide access to quality education for diverse groups of students, to educate leaders for the State of Georgia and the nation, and to prepare citizens for lifelong learning in a global society. Georgia State is also the 15th most diverse university in the country with a minority enrollment of 46 percent. GSU is #1 in the U.S. for undergraduate degrees conferred to African-Americans and has recently been classified as a Title V Hispanic-serving institution. 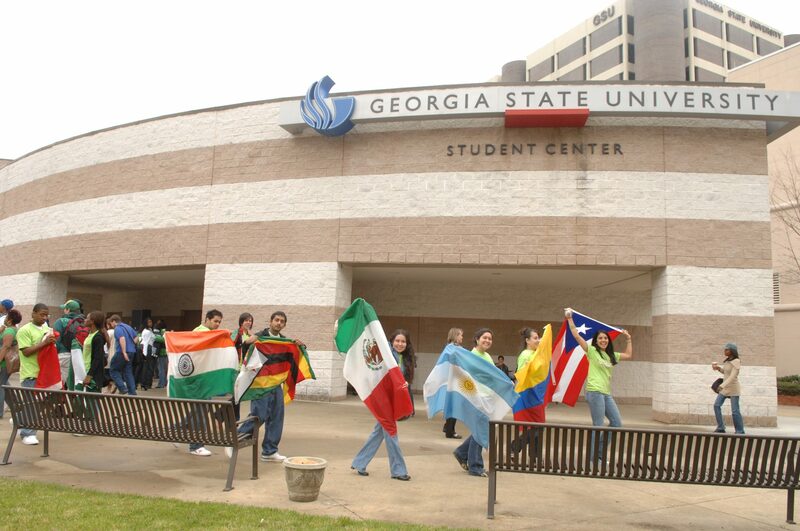 GSU has active international cooperation agreements with some 80 universities throughout the world. International strategic initiatives provide seed funding to support interdisciplinary collaborative research and economic development programs with partner institutions abroad. International program development provides assistance to faculty in proposal development and the identification of external funding. Study abroad programs provide opportunities for hundreds of GSU students to study abroad each year in five continents. Georgia State has a wide network of institutions and universities located across the world. We collaborate with our partners based on Research, Education, Business, Public Policy and Assistance. Leeds University Business School, U.K.